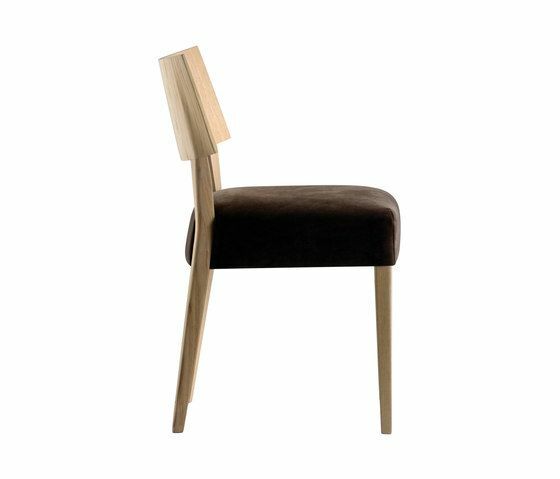 Elle chair, elegant and ergonomic, suitable for hospitality interiors. The front legs are tapered, while back legs are bevelled. Sandwich panelled wavy back, that follows tha shape of the legs. The thick upholstered seat makes the chair comfortable and suitable for prestigious locations. Available in bleached oak or wengé stained.